Welcome to the home of cheapest removalist services Australia and best-priced backloading for all your interstate relocation needs. As anybody who’s ever attempted moving house will tell you, “Less is more!” At Cheapest Removalists we agree, and that’s why we specialise in moving smaller loads of furniture for 1, 2, 3 and 4 bedroom homes interstate. You could move yourself, but with our Best Price Guarantee and commitment to offering the cheapest removalist services Australia has ever seen, it makes sense to call in the relocation experts. At Cheapest Removalists we’ll save you time and money. We’re experienced matchmakers when it comes to suiting your load with a professional and trusted furniture removalist. When you’re searching for the cheapest removalists services Australia, don’t gamble with your family possessions. Your load is our business – it’s in our best interests to ensure your furniture and fragile items arrive safely at your next destination, so we can continue to uphold our reputation for safe, fast and affordable removalist services for families, individuals and small businesses. We’re proud to be the budget removalists Melbourne residents call on – from moving house around the corner, to the office furniture movers Melbourne businesses require – we’re here to provide the budget removalists Melbourne locals trust. 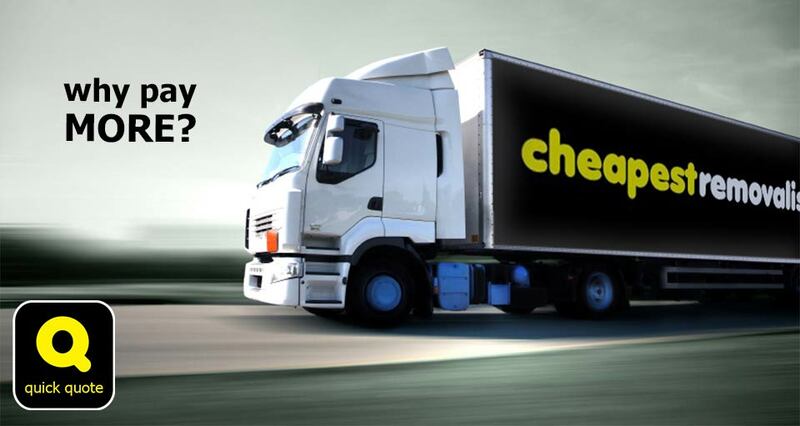 We’re also proud to be the cheap removalists Sydney residents choose for transporting furniture interstate. With Australia-wide services, we offer not just the cheap removalists Sydneysiders and Melbourne folk have come to expect, but also the best value relocation services to and from all Australia’s major cities. With weekly backloads from Melbourne, Sydney, ACT, Brisbane, Sunshine Coast, Perth, Adelaide, Cairns, Townsville, Darwin and Tasmania, we’ve got removalist trucks heading to your new interstate location when it suits you. Your destination not listed? Hey, we’re all over the place! Give us a call to chat about your relocation needs. We’ll set you up with a Quick Quote and find out how much you’ll save on your interstate move using our cheapest removalists services Australia-wide. Whatever your destination, we’ve got the trucks, trolleys and tried & tested methods to get your furniture and contents to your new home.